To prepare for and play at the opening ceremony of the Rio 2016 olympics would be an incredible experience for the children and provide an excellent focus for the project. Olympic opening ceremonies represent and reflect the best all sections of a city’s society. Our children would be excellent ambassadors for the favelas of Santa Teresa. 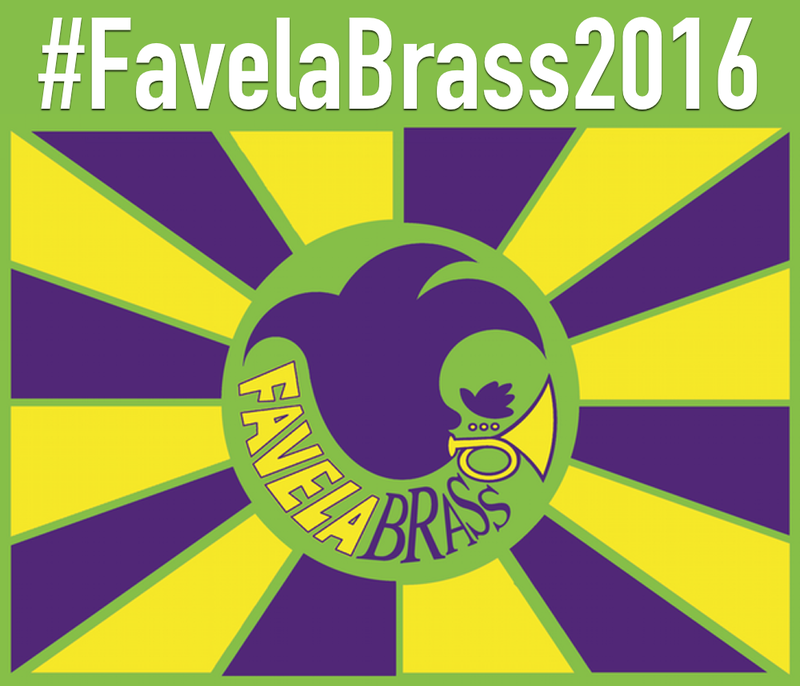 Favela Brass is a music school for Brazilian children, founded by a British musician in the time between the London 2012 Olympics and Rio 2016 and funded in large part by donations in the UK. In this way it provides a bridge between the two games. FB represents something innovative and new that is happening in Rio. We are mixing Rio’s percussion tradition with New Orleans’ brass tradition to create a style all of our own. The exposure that playing at the opening ceremony would generate for us would raise the profile of the project, helping us to continue our work into the future. Try to establish direct contact with the artistic directors, organizers and sponsors of the opening ceremony. For the reasons outlined above we think our children deserve a shot, however we are under no illusions about the scale of the task ahead. This is an extremely ambitious goal for such a new project, which will take serious amounts of planning, a lot of hard work and more than a pinch of good luck. If anyone out there thinks they can help us, please get in touch.